Ok, Burpee. You have redeemed yourself! 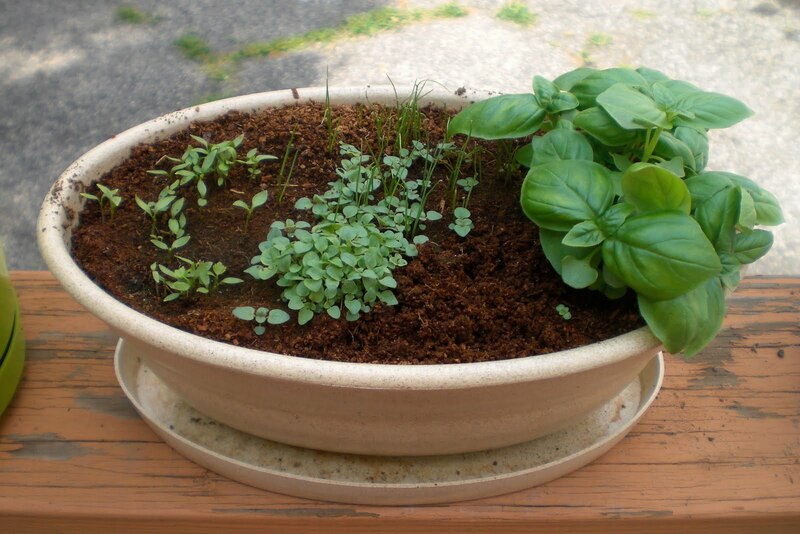 I wrote about how I got this cool herb garden kit and hoped for the best. I had a bad time trying to grow herbs from seed. Not anymore! Feast your eyes on this! Finally, Greek Oregano, Italian Parsley, Genovese Basil, and Chives at my fingertips!! The basil grew first and so fast, it got big in no time. Genovese Basil, you are my new love! Look how much bigger it is than the other herbs! Wow! I think what did the trick was this peat moss soil mixture that came with this kit. It was a perfect mixture for these seeds to germinate. Thanks Burpee for coming through this time and germinating, I'm sorry I was so mad at you at the beginning of the season! Oh, and get this, I was looking at the Burpee website, and this is what they say about the container. "The biodegradable oval container is made from compressed plant material (rice hulls) and decomposes within 36 months or less when discarded." Wow, now that is cool! 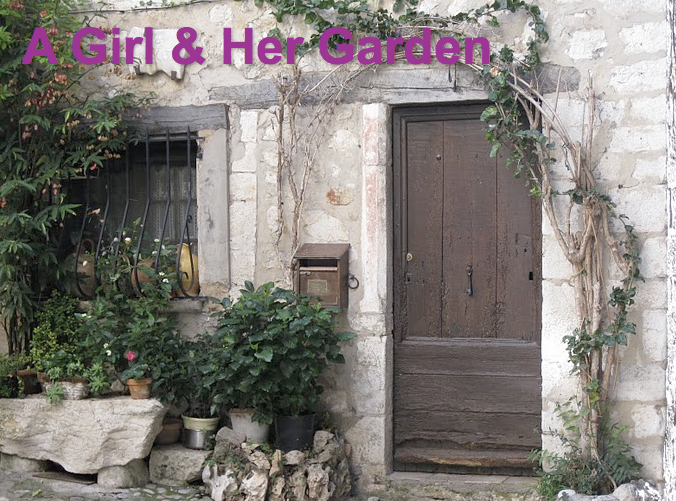 A Girl and Her Garden is having a CSN giveaway. A lucky reader will get a $45 gift card. Just visit her blog and follow the entry rules! Good luck! YaHoo, glad it's working out. You'll soon be eating delicious meals made with your own herbs. Thanks for the link back to the contest!!! Have many basil plants do you have in that cluster? It looks like they might be a little close together. From what I've read and experienced, basil plants will grow bushier if they have more room to grow. Your oregano looks just like mine did when they first started growing last year. They may not get too big this year, but just wait, they will probably take off and grow crazy next year as the stems get more woody. It may also crowd out some of the other herbs in that container - mine just took over the whole herb garden, and I had to cut them back severely. Good luck, it's really nice to have lots of herbs at your fingertips! I see thyme2garden (I wish I'd have thought of a name like that) pointed out the herbs may need more room. Did the directions on the kit say anything about that? You could try gently digging a few plants out, and putting them in other pots. You could also thin the basil, and use the leaves in cooking. Have fun with that! I'll have to see if I end up with any seeds to trade. I'm not very organized, but I keep thinking it would be fun to participate in a seed exchange. Looks pretty good! I love growing herbs and can't get enough basil. Be sure to keep pinching it back! I've found that some of my herbs (the ones outdoors) can get kind of weedy - chives and oregano, mostly. Probably wouldn't happen so much up north I'm thinking. How to water the garden with rain barrel water. I'm a sucker for advertising! This is a weekly task, unfortunately.